The page about each regiment includes the dates when battalions arrived at and departed from Bedford, where they came from and where they went when they left Bedford. There is also a summary timeline, by month/year and by division/regiment. * The words “Stick it, Welsh” were, it is said, spoken by Captain Mark Haggard, nephew of the author Rider Haggard. Badly wounded he was rescued under fire but still cheered on his men with those words. He died of his wounds the next day . The 2nd Battalion, the Welsh Regiment, was mobilised on 4 August 1914 and Captain Haggard of B Company left for France with the Battalion on 12 August. On 12 September the Battle of the Aisne began, with the Welsh as the advance guard of the 1st Division. 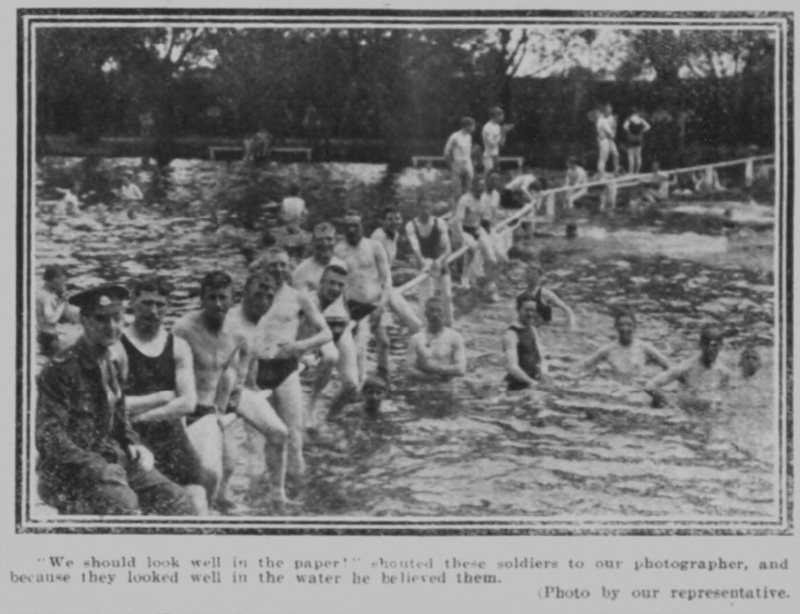 The previously hot weather had changed by the time they reached Longueval, it was bitterly cold and the rain was torrential. No one had time to wash or shave, and officers and men were dirty and bearded, but they pushed on with determination. Orders for 14 September required that the ‘Army will continue the pursuit tomorrow at 6.00 am and act vigorously against the retreating enemy”. They were to fight for possession of a strong position towards the Chemin des Dames, and the Welsh, along with the South Wales Borderers, pushed north-west from Moulins, and established themselves on the slopes of Beaulne Spur. Captain Haggard, finding his company held up by a German machine gun, took three men and charged it, outrunning his men by 30 yards. One of his men having been killed and another badly wounded, Captain Haggard managed to shoot several Germans before falling wounded himself. 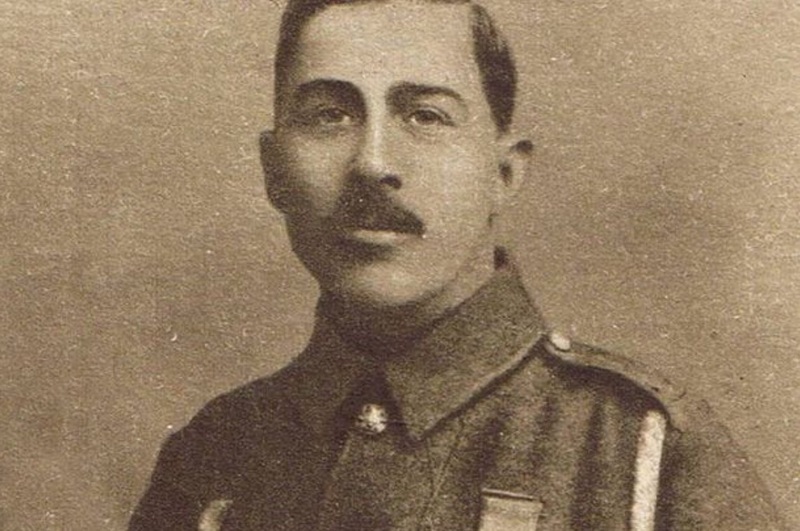 He called back to Lance-Corporal William Fuller “I’m done, get back”, an order Lance-Corporal Fuller at first obeyed but then risked his own life as he returned to Captain Haggard and carried him back to the lines, a distance of some 100 yards. 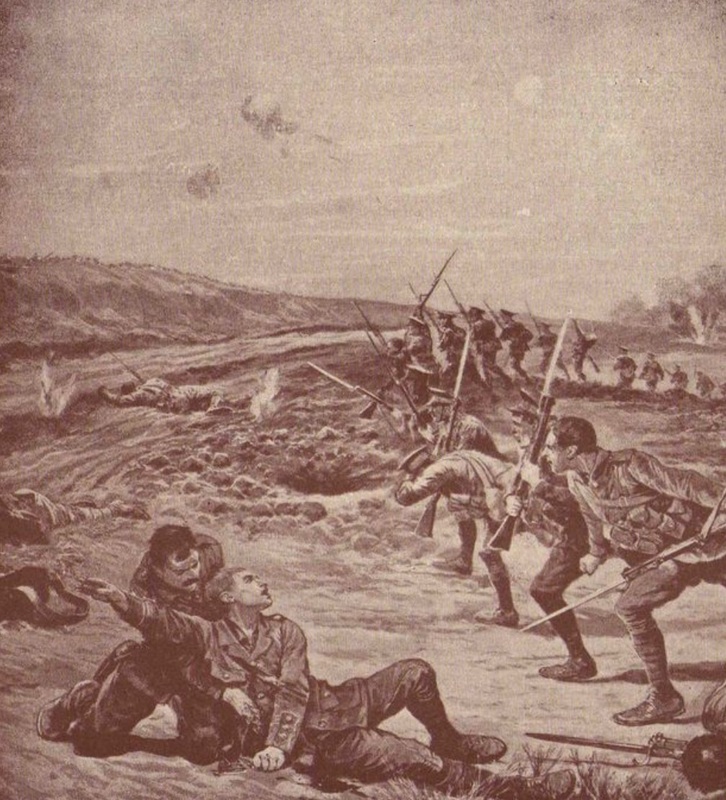 Although badly wounded, it is said Captain Haggard cheered his men on , shouting the words “Stick it, Welsh!” Captain Haggard asked Lance-Corporal Fuller to fetch his rifle from where he had fallen as he did not wish it to fall into the hands of the enemy, and Lance-Corporal Fuller managed to fulfill his request despite the grave risk to his own life. With the help of two others Lance-Corporal Fuller managed to get Captain Haggard to the safety of a barn that was being used as a dressing station. He remained with Captain Haggard until he died. He attended to two other officers who had been wounded. The barn came under heavy fire and the wounded were evacuated. Later the barn was razed to the ground by German shell fire. On 29 October, Lance-Corporal Fuller was himself seriously wounded and was sent to Swansea Hospital for an operation and treatment. After his recovery he was given a home posting as a recruiting sergeant in Wales. 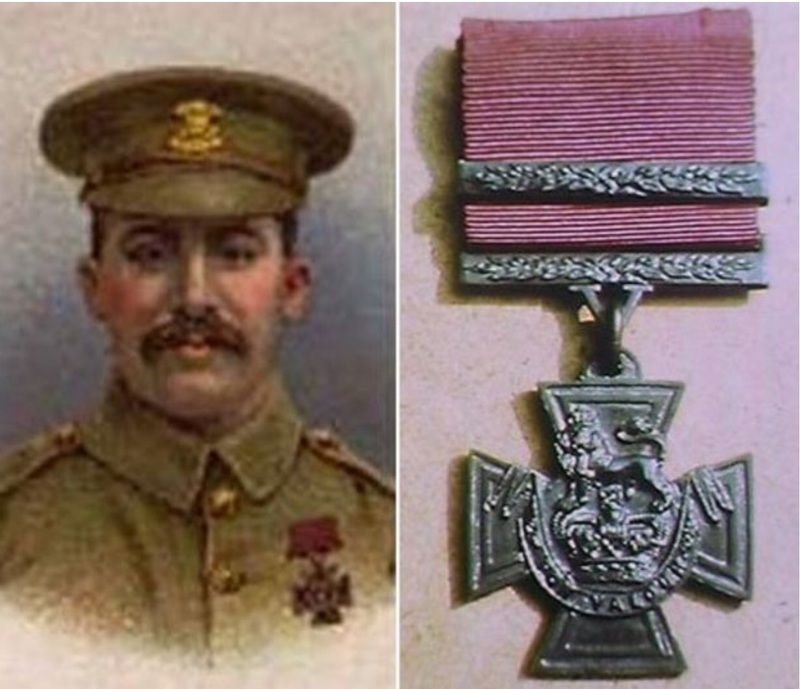 For his heroism in rescuing Captain Haggard, Lance-Corporal Fuller was awarded the Victoria Cross. Later, he served in the Home Guard during the Second World War and was awarded the Royal Humane Society Medal for life saving. He died aged 90 in 1974. May 1915 In the Barmouth and County Advertiser of 13 May 1915, ‘RHR’ contributes a long and evocative article entitled ‘With the Barmouth Territorials at Bedford: the removal from Cambridge’ After short notice, an early breakfast, and with the band playing, the troops* started their march. The people in their hundreds waved them goodbye. After 18 miles, they were billeted for the night in St Neots. Next day, with a further 12 miles to go, they set off for Bedford. Bands strike a tune as they draw near, and the crowd cheers them. The soldiers sing out a favourite song, but their weariness was not conducive to lusty singing. Marching on they pass under John Bunyan’s statue and continue to the other end of town and their comfortable billets. They find everyone with a ready welcome having heard from Northampton how the soldiers had behaved themselves there. ‘RHR’ writes again to the paper on 18 May from Rushden about the Barmouths subsequent ‘tramp’ from Bedford to Rushden, in ‘weather the reverse of fine’. May 1915 The Cambrian News and Merionethshire Standard of 21 May 1915 reported that the Aberdovey Territorials were now at Bedford and had marched from Cambridge, doing the distance of thirty-three miles in part of two days. * This is most likely to be ‘Madame Demery’s’, the dance academy at 2 Grafton Road/145 Midland Road, which was taken over by the military for the duration of the Great War. In 1942, the building, then the Assembly Rooms, was badly damaged during a daylight bombing by a lone German bomber during the morning of 23 July. 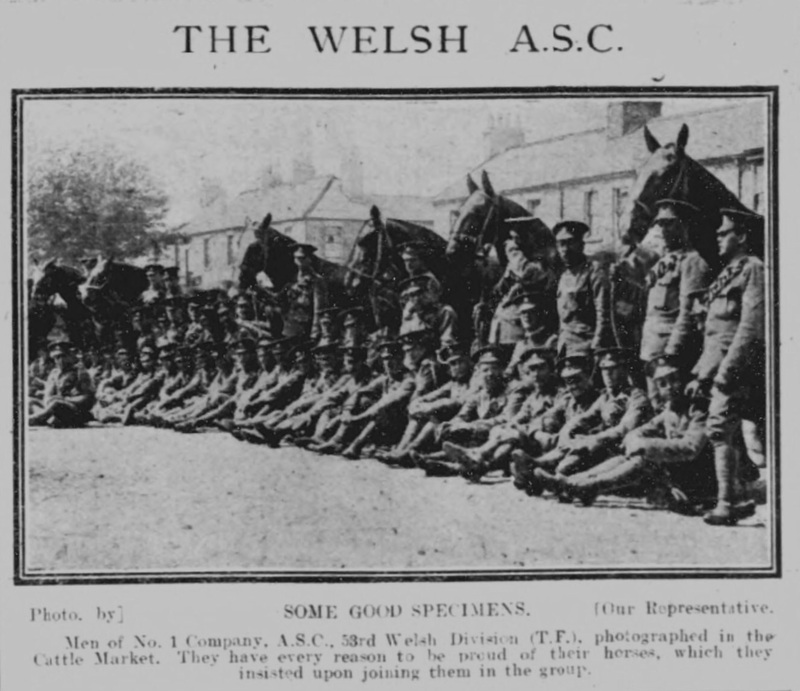 May 1915 The battalion (1/4th Welsh) recently left Scoveston for Royston, and from there to Bedford, the Herald of Wales of 22 May 1915 reported. 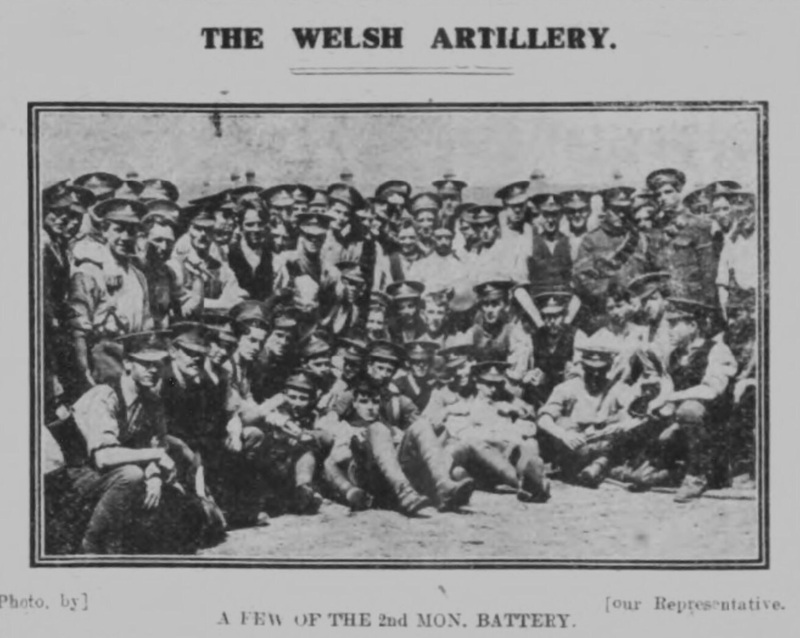 In its next, 29 May, edition the paper reported a draft of 200 of the 2/4th Welsh arrived during the weekend at Bedford to strengthen the 1/4th Welsh Battalion. The Haverfordwest and Milford Haven Telegraph of 26 May 1915 reported under the heading ‘Section of 4th Welsh leave for Bedford’ that about 200 of the 4th Welsh Reserves had left Neyland to join the 4th Welsh to bring it up to full strength. A certain number of the 4th Welsh had failed to pass the doctor and were returning to Scoveston. May 1915 The Corwen Territorials are now stationed at Bedford, Adsain of 18 May 1915 reported. 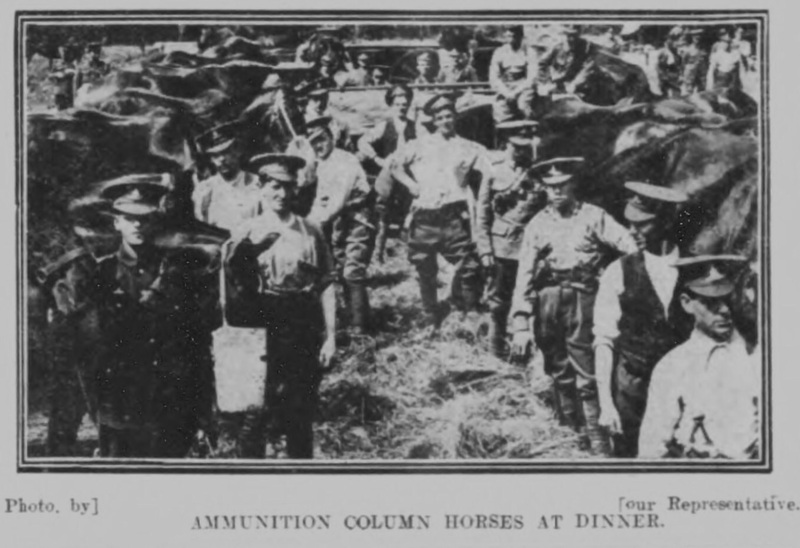 The Bedfordshire Times and Independent of Friday, 4 June 1915, in ‘Queen’s Park News’, reported that meat and desert in the form of sausages and bananas were being distributed from the same truck on Saturday night (1 June) to the Middlesex Regiment. It is likely therefore that the 2/10th Battalion of the Regiment which had arrived in May, was billeted in Queen’s Park. 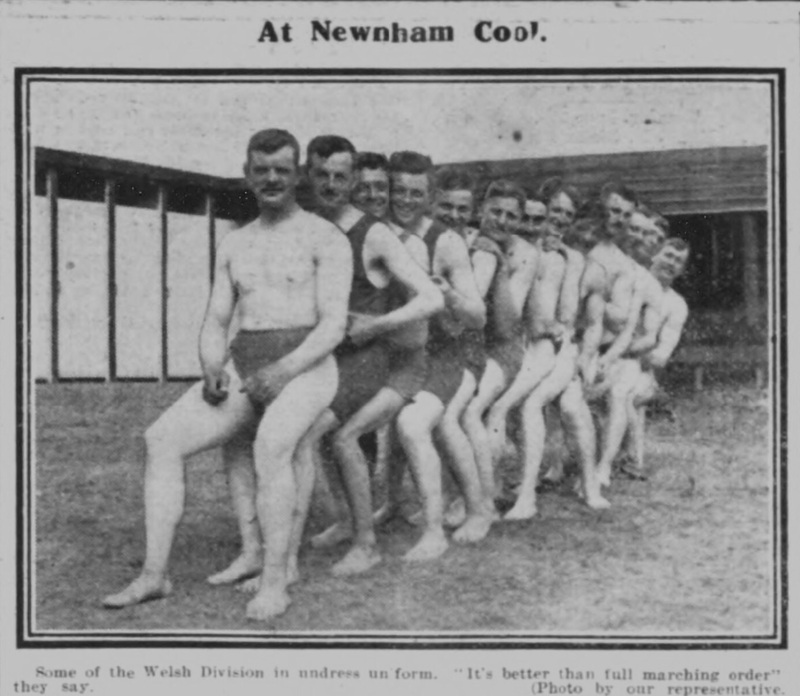 June 1915 The Bedfordshire Times and Independent of 18 June 1915 included two photographs of Welsh Division soldiers relaxing at Newnham outdoor swimming pool ‘At Newnham cool’. The Aberdare Leader of 10 July 1915 reported under the heading ‘The 5th Welsh and the Dardanelles’ that the 5th Welsh Battalion, the Welsh Regiment had been greatly strengthened. Some of the older members, who were not medically fit for foreign service or who had not signed for foreign service, had returned to Pembrokeshire, while a large draft of the 5th Welsh Reserve had been transferred to Bedford. 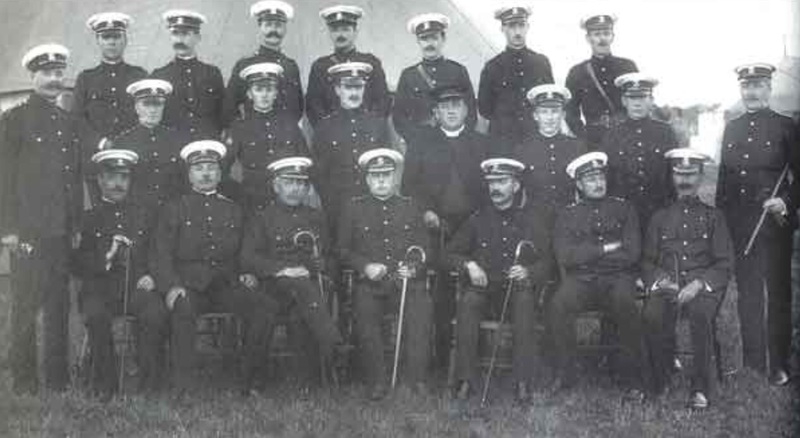 The men home on leave at that time stated that all the 5th Welsh then stationed at Bedford were going out to the Dardanelles in a few weeks time. 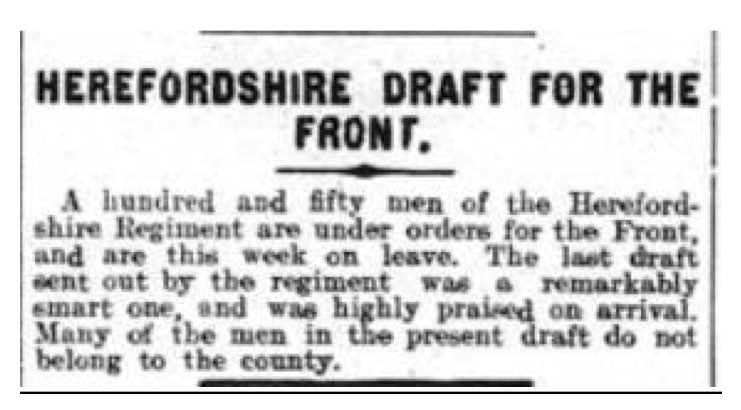 July 1915 The Herald of Wales of 17 July 1915 reported that the 1/4th Welsh Regiment, billeted at Bedford, would shortly be leaving for active service. There were, it said, in the battalion many Llandovery and Llandilo boys, who, despite the rivalry which had existed between them in the past had now formed friendships which were likely to endure while life lasts. 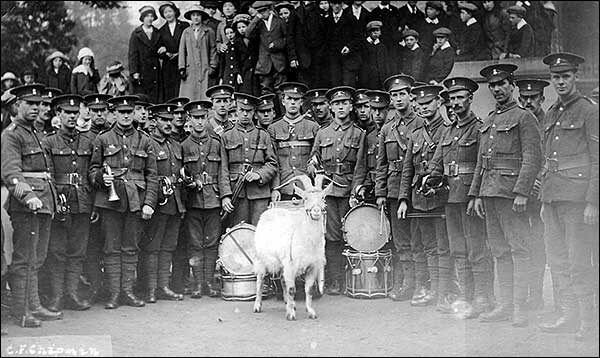 ‘Eye Witness’ met some of the Haverfordwest boys, and the day after his arrival in Bedford witnessed a parade of the Battalion in Bedford Park. There were however very few people looking on. The Battalion moved in two halves in the afternoon for Ampthill Road station to take trains for a southern port on their way to somewhere in the Mediterranean. He gathered whilst in Bedford that the Haverfordwest men left a good impression on the people with whom they were billeted. One lady who had taken in six told him they were all excellent young fellows and she shed tears on parting with them. * the 1/4th had come under orders of the 159th Brigade in the 53rd (Welsh) Division and moved to Bedford. 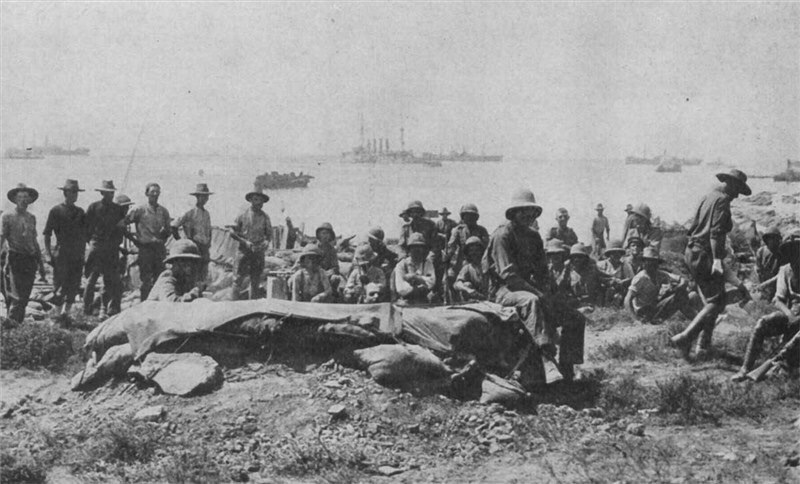 The Battalion left Bedford in July to sail from the south coast to Gallipoli. July 1915 The Herefordshire Light Infantry Museum records that the 2nd Battalion of the Herefordshire Regiment moved from Northampton to Bedford towards the end of the month. The move was made on foot in the ‘pouring rain’, but the ‘Battalion remained in high spirits, singing lustily as they passed through villages’. 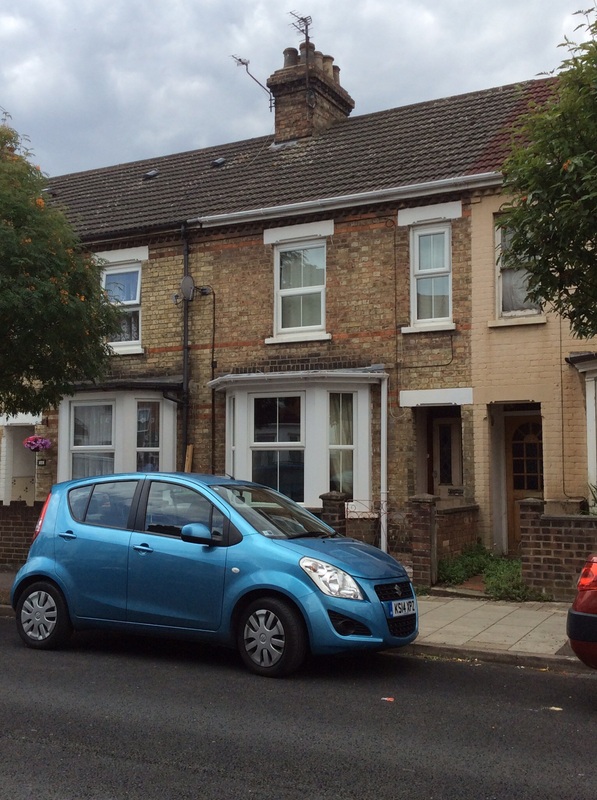 The soldiers were generally billeted in large empty houses. On account of their wet condition and to ward off illness a ration of rum was authorised (and enjoyed by many) at the end of the march. 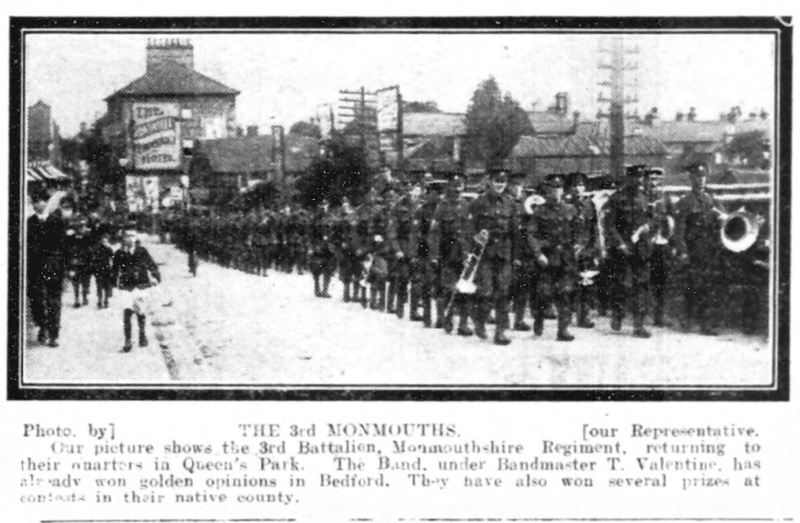 The Bedfordshire Times and Independent of 6 August 1915 included a photograph ‘The 3rd Monmouths’ showing the 3rd Battalion, Monmouthshire Regiment, marching to their quarters in Queen’s Park, preceded by their band. By reason of the Highland fleas. August 1915 The Camarthen Journal and South Wales Weekly Advertiser of 27 August 1915 reported, at the bottom of the third column of its War Jottings, on the 4th Welsh Battalion which had ‘only left Bedford with the Welsh Territorial Division a few weeks ago, and the casualties amongst officers within the last couple of days seem to lend colour to the assumption that it was called upon for service immediately upon landing.’ It commented on the action and listed officers gazetted as injured. August 1915 The Herefordshire Light Infantry Museum records that the first reinforcement draft of 47 men left the 2nd Battalion of the Herefordshire Regiment for Gallipoli, commanded by Lieutenant F H L Evelyn, with Second-Lieutenants R J Boulton and A Wilson, 8035 Lance-Corporal T Pritchard and 43 Privates. 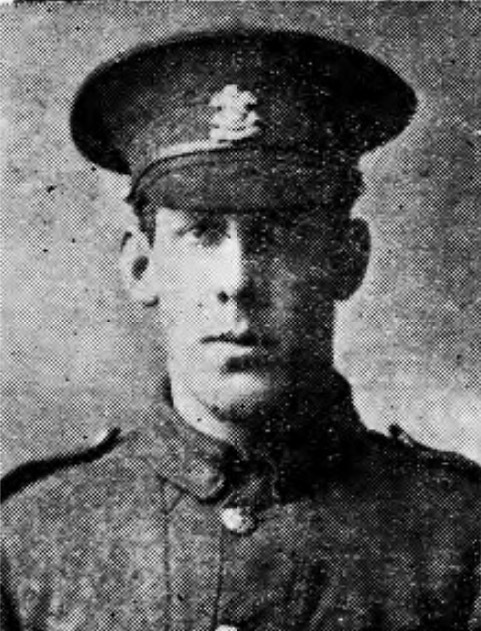 In a later edition of 10 September 1915, the Carmarthen Journal and South Wales Weekly Advertiser included a long article entitled ‘Tales of the 4th Welsh’ which included a number of letters from soldiers serving in the Dardanelles, including Private J Elwyn Davies who subsequently died in Alexandria on 13 August of wounds received in the fighting. There were a number of references in the letters to the death of Captain Howard, which is also mentioned in articles detailed below. September 1915 The Cambrian Daily leader of 18 September 1915 printed an article headed ‘How 4th Welsh sailed – story of the voyage and baptism of fire – shells for breakfast’ including a long letter noted as having been ‘Passed by Censor’ from Gunner R Frederick Thomas, of the Machine Gun Section, 1/4th Welsh, attached to the Cheshire Regiment, from Llandovery, describing the journey from Bedford – which they left on 6 July, via Malta, Alexandria, Port Said and Lemnos eventually to reach the Dardanelles, landing on 9 August – and the hard reality of battle and life under fire. September 1915 Lieutenant George Adams, from Haverfordwest also gave his impressions of the campaign in the Haverfordwest and Milford Haven Advertiser of 24 November 1915. He described an occasion when the Turks had disguised themselves as Gurkhas. An officer spotted them and shouted ‘they are Turks, there are no Gurkhas near here’. Instantly the enemy heard this, they shot and killed Lieutenant Adams’ friend and turned and fled back towards their trenches. But not one reached them, all being shot dead before they had gone many yards. He too commented, as had Gunner R Frederick Thomas, on the death in battle of Captain Howard, from Haverfordwest, whose solicitude and anxiety for the welfare of his men could not possibly be exaggerated. September 1915 Extracts from the diary of Private George Rogers, of the 1/3rd Welsh Field Ambulance, Mediterranean Expeditionary Force, were published in a full column of the Cambrian Daily Leader of 12 May 1916 under the heading ‘At Suvla Bay – vivid record of Swansea boy’s work’. Private Rogers wrote about his time in Bedford, the voyage through the Mediterranean, the arrival at Suvla Bay in August, the fighting that took place and the work of the Field Ambulance team. 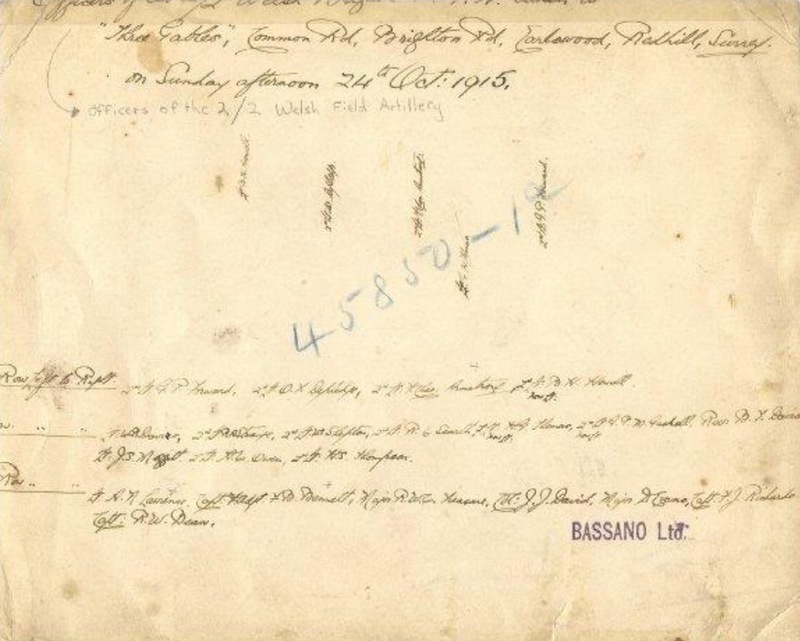 Suffering with bad health, he was sent eventually by October to hospital in Egypt, and the column concludes with his entry for 2 November ‘The Lieutenant-Colonel saw me and to my delight marked me up for England’. September 1915 On 29 September, the 1st Battalion of the Herefordshire Regiment, fighting in Gallipoli, was required to find 439 men for fatigue duties. Only 433 were available. 750 men had landed on 8 August and some 350 reinforcements had been received, which meant that some 660 men had become ‘casualties’. September 1915 Back in Bedford, the Bedfordshire Times and Independent of 10 September 1915 included this picture of the men of D Company, 2/1st Herefordshire Regiment assembled for dinner at the newspaper’s printing works in Sidney Road. 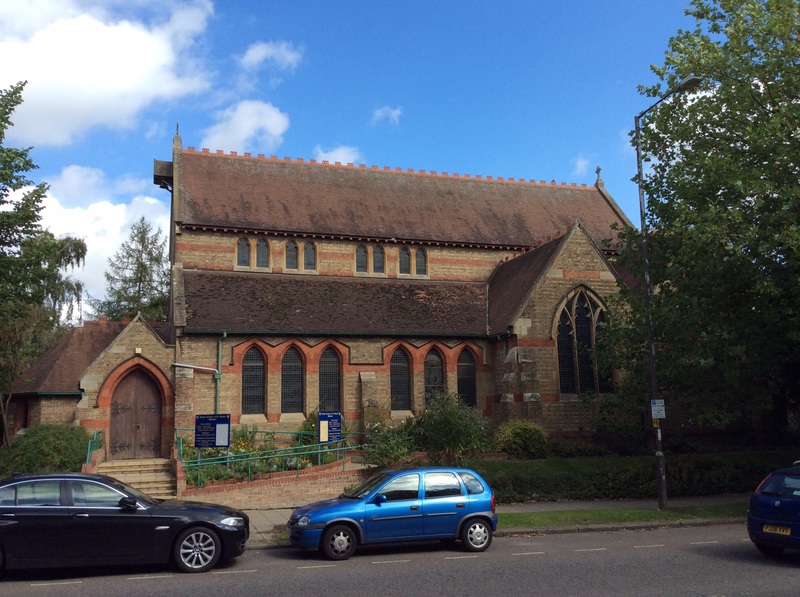 The 2nd Battalion’s War Diary for September records amongst the activities that month, a divine service in St Martin’s Church on 5 September; Battalion scheme on line Vicarage Farm, Milton House on 6 September; Battalion in attack Wilhampstead Herrings Green on 7 September; Battalion in defence Stevington Point 218 on 8 September; divine service at St Martin’s Church on 12 September; B, C and D companies in defence at Oakley, and A Company night trench digging at Queen’s Park on 13 September; A, C and D companies in defence at Brigade Stagsden Road, and B Company night trench digging at Queen’s Park on 14 September; divine service at St Martin’s Church on 19 September; B, C and D companies night operations at Biddenham on 20 September; A, C and D companies scheme at Clapham on 21 September; Lt F S Phillips detailed as assistant instructor in bomb throwing course at Bedford on 25 September, 2Lt Clifton, LSgt Smith and Cpl Taysom detailed to attend this course; divine service at St Martin’s Church on 26 September; Battalion proceeded on bivouac A, C and D companies to Lavendon and C Company to Yardley Hastings on 27 September, returning to Bedford the next day; and two companies instruction under Commandant of School Honey Hill Drill Field on 30 September. The 1st Battalion of the Herefordshire Regiment found themselves this month in a stalemate in Gallipoli. 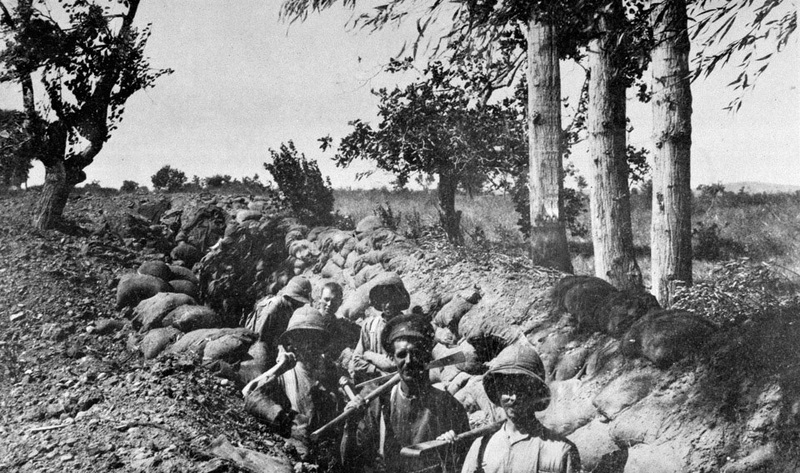 In many areas tactical initiative had been lost, life had settled to the dull routine of trench and rest, and the Battalion was not involved in any specific offensives. The Museum’s bulletin for October includes details from the war diary and a long and descriptive poem by two members of the Regiment, Bugler W Clarke and Private C Wood, written to raise awareness and welfare support for the Regiment and to assist with recruiting. The 2nd Battalion remained in Bedford for the whole month. 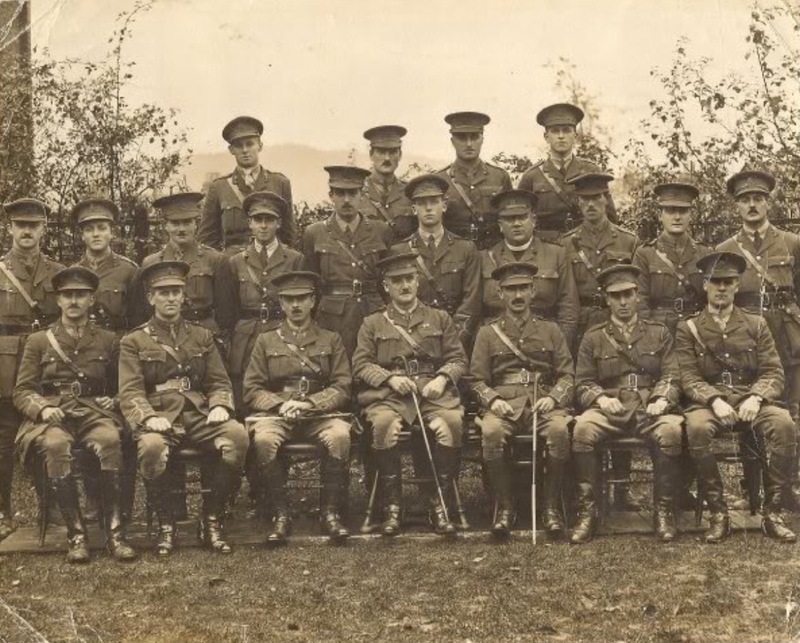 Among the activities was a football match against the 2/1st Welsh Field Ambulance which the Herefords won 3 – 0, with two goals scored by Sergeant T Evans and one by Private Sayce; and the Regimental Band, under the direction of W H Wheeler, gave a concert at the Royal County Theatre. The programme included ‘Land of Hope and Glory’, ‘When the Boys come Home’, and the national anthems of Serbia and the United Kingdom. The Hereford Times printed a list of soldiers serving with the Battalion at Bedford. November 1915 On Wednesday, 17 November 1915, at the Bedford Borough Petty Sessions, before Mr E Ransom (in the chair) and Mr H Bacchus, Mr J Adams, of the Embankment Hotel, applied for an extension from 9.30 pm to 11 pm on Wednesday and Thursday, the extensions of farewell dinners for the Welsh Division, Royal Field Artillery, officers. The application was refused. However, the report in the Bedfordshire Times and Independent of Friday, 19 November continues, in the afternoon a Special Court was held with the same magistrates, when Mr Adams renewed his application, and produced further evidence, and the application was granted. The Brecon and Radnor Express Carmarthen and Swansea Valley Gazette and Brynmawr District Advertiser of 2 December 1915 reported that men of the Brecknocks (stationed at Neyland and Milford Haven) had not been drafted to India as originally intended, but had been divided into two sections, some having been sent to Bedford and the rest remaining on garrison duty in Milford with the newly-joined 3rd battalion. December 1915 The Denbighshire Free Press of 18 December 1915 reported that the ‘Home Service’ men from the Welsh Division stationed at Bedford have, we hear, gone to Norwich to join the Home Service portion there. December 1915 About seven men who had elected to join forthwith were taken from Aberayron to Bedford on 28 December by Major David Evans, of the Royal Field Artillery. 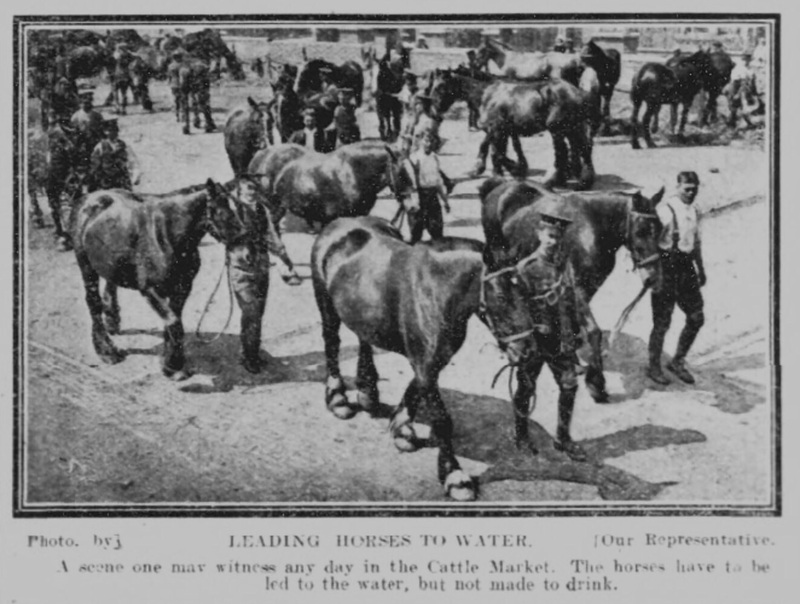 The Bedfordshire Times and Independent of 18 August 1916 reported that at the beginning of the previous week it became known that the officers and men of the Welsh Horse, who had been in camp in Turvey for the past few months, were about to be removed to another station. The Recreation Committee at once made arrangements for a farewell social, which was held on 10 August in the large schoolroom, and took the form of a concert and dance. A party of about 150 being present. Refreshments were again served under the direction of Mrs Fulford, assisted by the Misses Argenti: Sergeant McInnes acted as MC. The Misses Finch of Brayfield were the pianists. Songs were sung by Mrs Fulford and Private D R Jones, the well-known Welsh professional. Sergeant-Major Ayling, on behalf of the officers and men of the Welsh Horse, said he wished to thank the Rector, as Chairman of the Committee, and Mrs Fulford for the great interest she had taken, and the people of Turvey for the very great kindness shown to the men during their stay in the village, which had been a very pleasant one. Three hearty cheers were given by the men, and the whole company joined in singing Auld Lang Syne. At the Bedford Town Council meeting on Wednesday, 22 November 1916, it was reported that Major-General R Reade, Commanding Officer of the 68th Welsh Division had written to the Mayor on 24 October stating: ‘As the Division is now leaving Bedford, I take this opportunity of expressing to you on behalf of myself, and the officers and men of the 68th Division, our thanks for the courtesy and ready help you have always shown to us. Our thanks are also due to the Entertainment Committee and its kind and able Secretary, Mr Machin, who have organised so much to add to our comfort and recreation. Further, we appreciate the way in which the police under Chief Constable Timbrell, have worked with us and maintained cordial relations between the soldiers and the townspeople.’ The Mayor said: ‘We are very glad to hear that from General Reade’. To which councillors responded: ‘hear, hear’. It is the turn of the Egyptian Expeditionary Force this week to baste the Turks, said the Bedfordshire Times and Independent of 30 March 1917. They have done it very thoroughly too. The battle on Monday and Tuesday five miles south of Gaza, the old Philistine city and fortress about three miles from the coast, seems to have pretty well accounted for the 53rd Turkish Division. 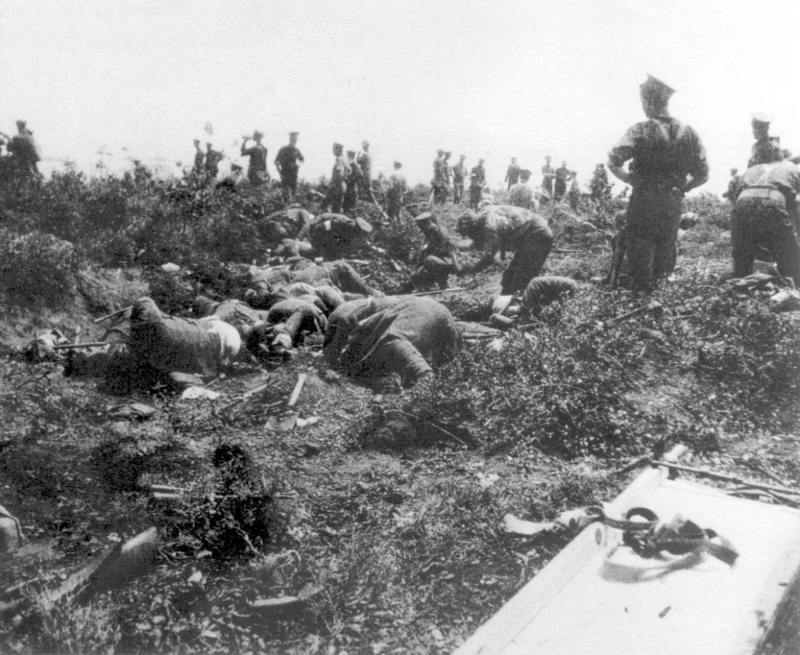 The General in command and his staff, including four Austrian officers and 32 Germans and Austrians of other ranks, were captured, and two 4.2 howitzers. We are glad to see that the Military Authorities made an exception in this case, and gave the names of the troops which have done so well – Welsh, Kent, Sussex, Hereford, Middlesex and Surrey Regiments with Anzacs and Yeomanry. We look for rapid progress up through Palestine now, and the mastery of the railway from Hedjaz to Damascus and Aleppo, where the Bagdad line comes in from the east. A Bedford man goes home – Mr Henry G Hall, a porter at the Midland Railway station in Ystalfera, where he had resided for nearly three years and was very popular in the district, was leaving the town that week for Bedford to join the forces, reported Llais Lafur of 22 September 1917. His wife and children would take up residence at Bedford, the town of which Mr Hall was a native.